Motorbike Loan is provided to you who have a regular income to get a motorbike for your family or business. Motorbike Loan is provided in Lao Kip, Thai Baht or US Dollar. This loan is designed for you to buy any types of brand-new motorbike or used motorbike from legal suppliers. 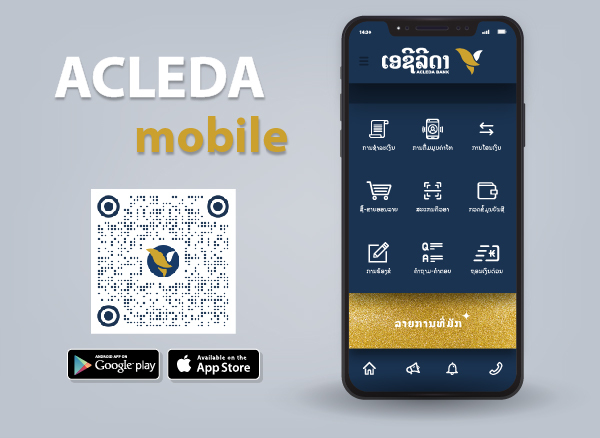 ACLEDA Bank Lao offers Motorbike Loan up to LAK20,000,000; THB80,000 or USD2,500. Customers who are employees and will not exceed the retirement age. Other customers will not be over 60 years of age.